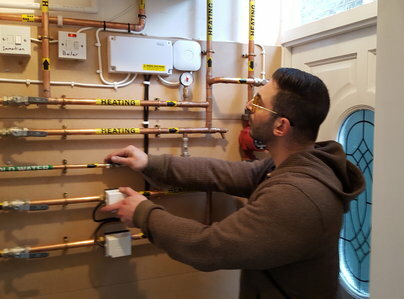 I, Alan Mack have over 20 years’ experience in heating. All our engineers have a minimum of 10 years knowledge. We specialise in boiler repair, installation and maintenance. Having worked in the industry I have pretty much seen it all from good to bad repairs and installations. We will advise on the most cost effective and efficient type of system for your property. 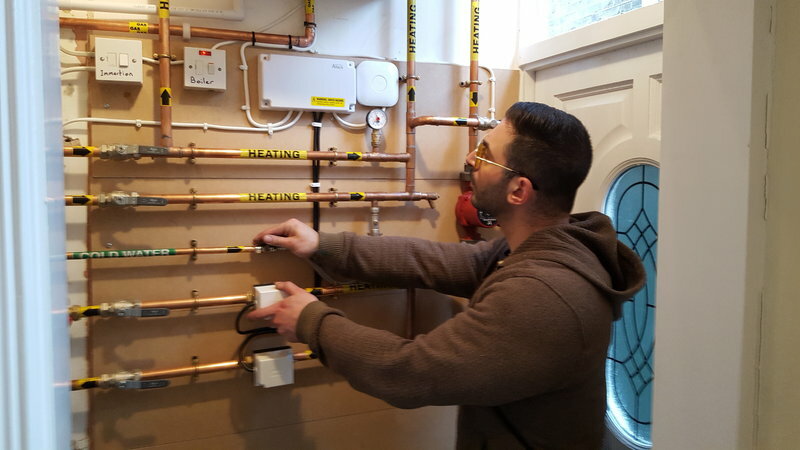 Our goal is to install or maintain a heating systems that will running at the optimum efficiently to save on fuel consumption which means lesser fuel bills for our customers during boiler life span. We are up to date with all the latest products available to us on the market. We feel it’s very important to stay with the times and offer all available products to us. Let’s be honest a new boiler is usually an expected cost and most haven’t had an allowance in place. The products we use vary but we only insist on leading brands such as Worcester Bosch, Valliant or Viessmann in regards to boiler to which we can offer extended warranties on. Alan is punctual and reliable. His work is at the highest standard. I will not hesitate to call him again. I used Alan Mack to install a new Worcester Bosch Boiler. He was very professional and tidy and finished the work in one day. I would definitely use him again. 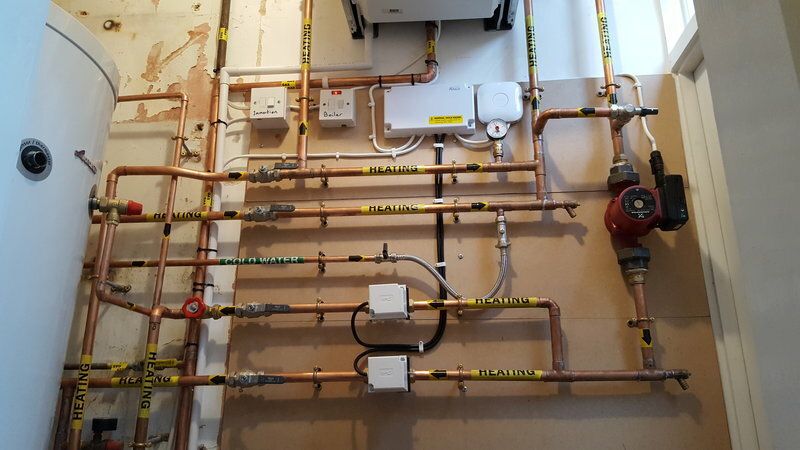 Introduction was via our bathroom fitter, Alan gave an honest and objective overview of what he thought the issues were preventing our underfloor heating in the kitchen from working properly and provided an estimate of the range of possible costs to get operational again. He arrived at the agreed time and by coincidence the boiler was also causing problems, which he fixed before moving on to resolve the issues with the floor heating, which were numerous. By the time he left we had a fully functioning controllable system for the first time since it had been installed. Alan also gave the boiler a long overdue service. Alan was very professional and gave a full explanation of everything he was doing and we will be booking him in to undertake an annual service of the boiler. Alan really went out of his way to help my grandparents with their boiler issue and did a fantastic job. I highly recommend his services and I will definitely be using him again. Alan answered the phone promptly and was very professional. He agreed to come and do the works at short notice and was on time. He carried out the work quickly and efficiently, explaining what he was doing as he went along. I would certainly recommend Alan Mack's services to others. Alan was very informative, was able to clearly diagnose problem and in turn give us different options for a solution. I was very pleased as it gave us a feeling of inclusion when decision was made on how best to fix our broken boiler. I asked Alan to replace my tap. He and his colleague came round and plumbed it in with minimum fuss and maximum speed. He also cleared my blocked drain (ooh fun). As he had to leave early, Alan then phoned later to see if I was happy with the service. I would recommend Alan to anyone. On time, efficient, easy to talk to. Great job. Alan was punctual, pleasant and professional. A very good job!